It has been absolutely ages since I got a decent nights sleep and I would say it because I needed a new mattress. My old mattress was second hand as at the time I was struggling for money as I just moved home so a second-hand mattress was needed. It wasn't ideal at all for me as my back has never been right for ages. 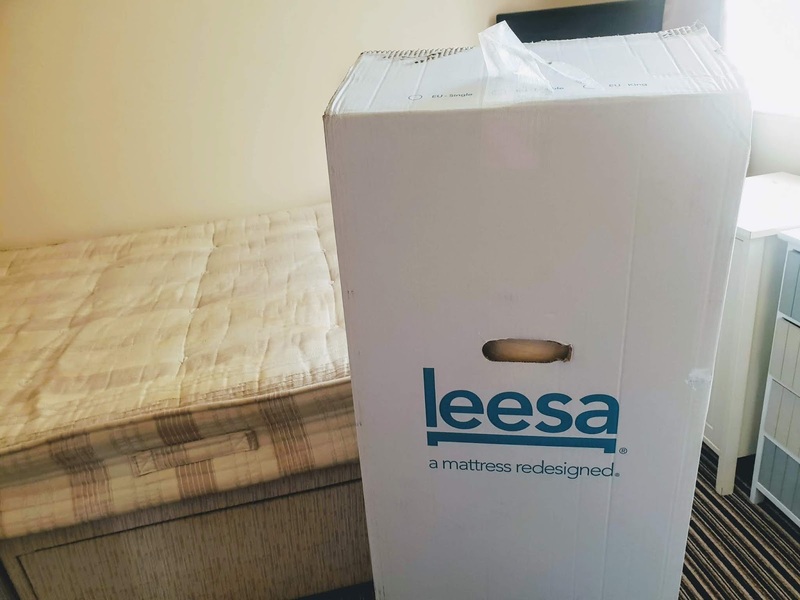 It had holes in it, marks and was dipping in parts so you can imagine how ecstatic I was when I was told I was going to review a Leesa Mattress, I actually cried tears of happiness. My last mattress was a spring mattress as have all my previous mattresses have been in the past but this one is a huge change for me as its a foam. I did my homework on the brand and all I can see is a vast range of positive reviews. They have mattress sizes from single all the way up to super king, so they is something for everyone. Did you know they donate one mattress for every ten mattresses sold! After I placed my order on the website it only took 5 days to arrive and I was notified by text when my order would be here which was helpful as they are nothing worse waiting in all day for a delivery is they? The helpful delivery driver brought the box in my home and as you can see, it comes in a box. The box isn't huge which is surprising when you know they are a double mattress inside it. Once opening the box I saw that inside was the easy to read instructions and mattress which was rolled up and vacuumed packed. Dust mites-we loose skin cells every day( we can lose 1.5g of skin every day) So over the years numbers get larger, especially as its a warm environment which dust mites love. 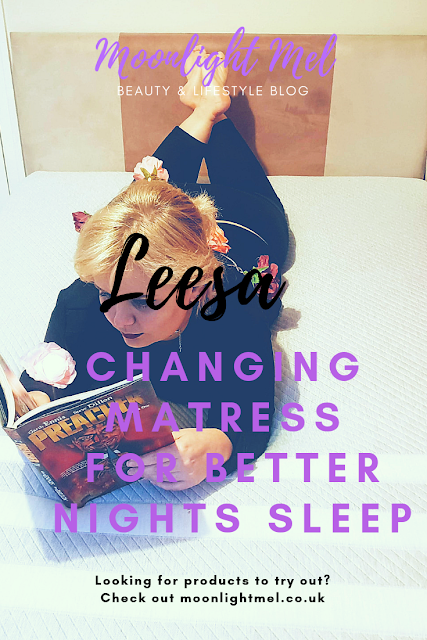 The Leesa Mattress is beautifully designed and engineered with 3 premium foams. The foams expertly designed for cooling, body contouring and pressure relieving core support. I just love when I lie on this mattress, it automatically contours into my shape gently, its so comfortable and supporting. They come in a variety of sizes from single to super king. If you aren't sure you can check out their website in which they show you the measurements. The mattress is made in the UK and comes with a 10-year warranty. You have 100 nights to trial it to make sure you are 100% happy with it. Once I finally unrolled it onto my bed I just couldn't wait to get a good nights kip! The first couple of nights I wasn't so sure because I was so used to springs but after that, it was like sleeping on a cloud. 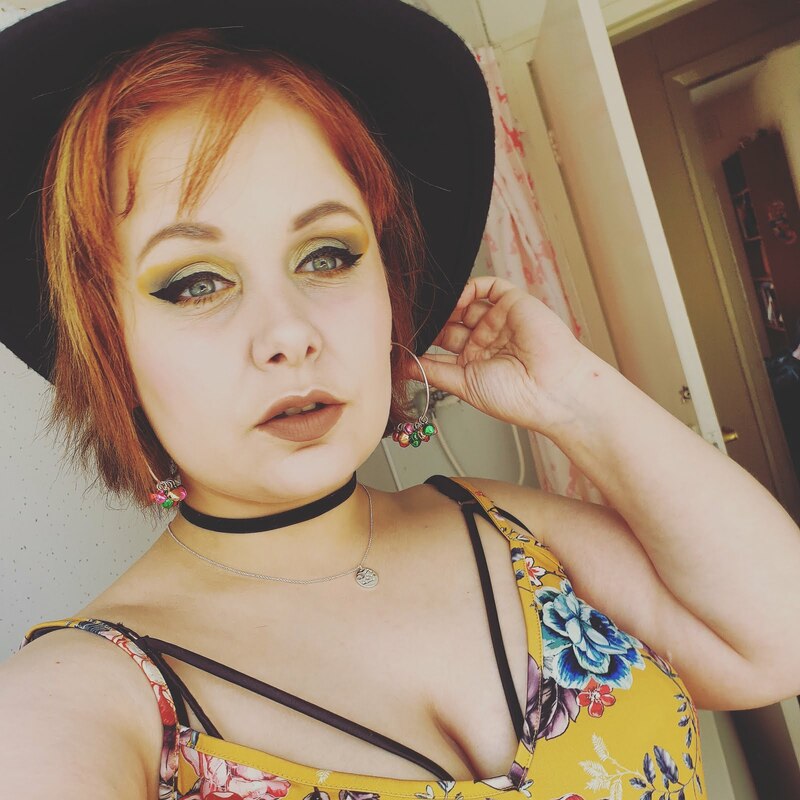 It moulds perfectly to my body shape and even when I move a lot during the night it doesn't affect my sleep which is great because it used to with my old spring mattress. I have had my Leesa mattress for over a month now and I can honestly say its helped me sleep better and I wake up much more refreshed, having a good nights sleep makes a huge difference to my day since I sleep longer and more comfortably. I have worked out that if you have this mattress for 10 years and you buy the double which costs £650, the daily price over that time is 17p which is a bloody bargain when you think about it that way. Want to know more about this mattress or even treat yourself to a new mattress? It always amazes me that some people cheap out/refuse to invest in a high quality mattress. It is something that you literally use every day of your life!